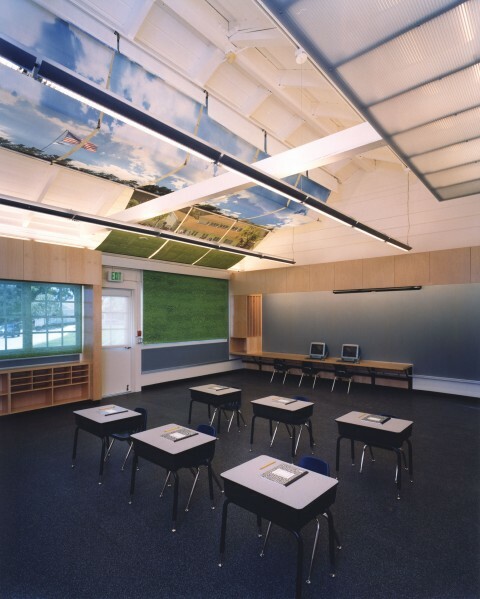 This renovation of 16 classrooms for grades kindergarten through sixth grade was designed in collaboration with the school’s teachers in order to develop exciting learning spaces that reinforce their teaching methods. 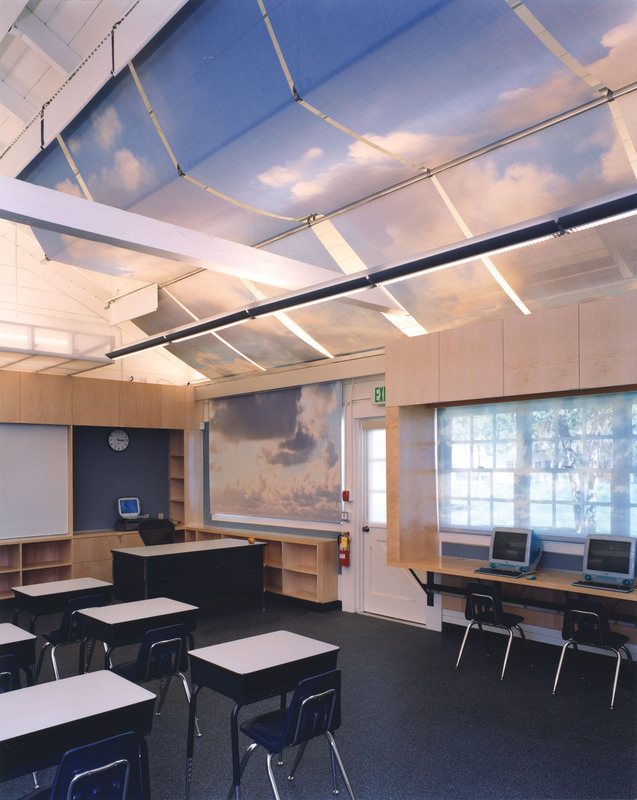 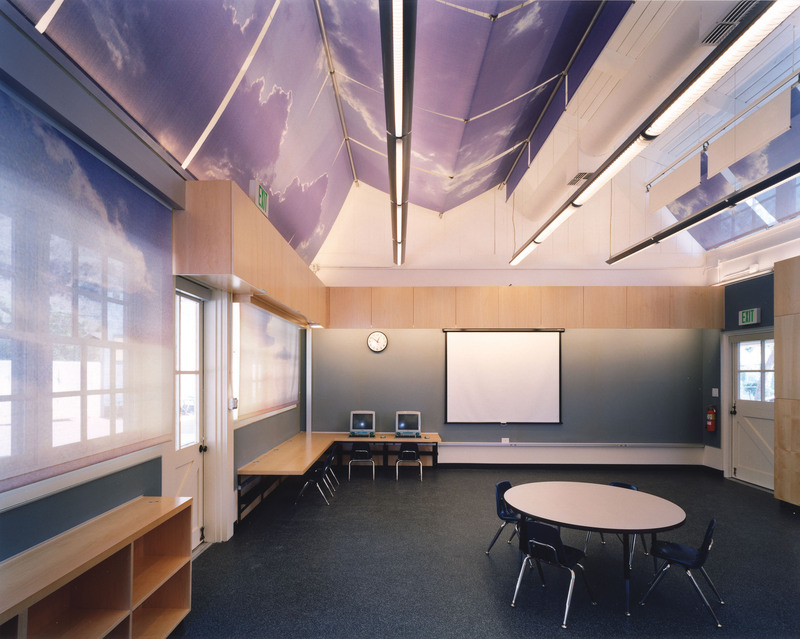 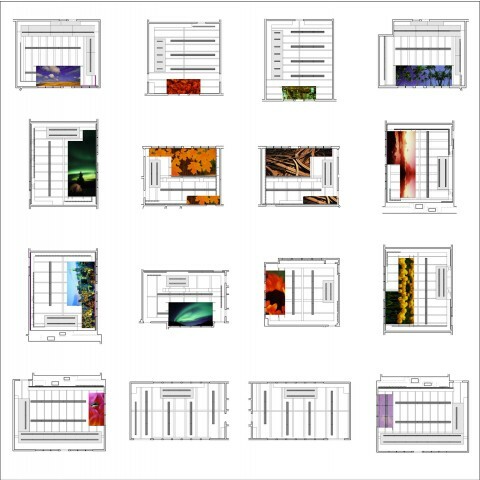 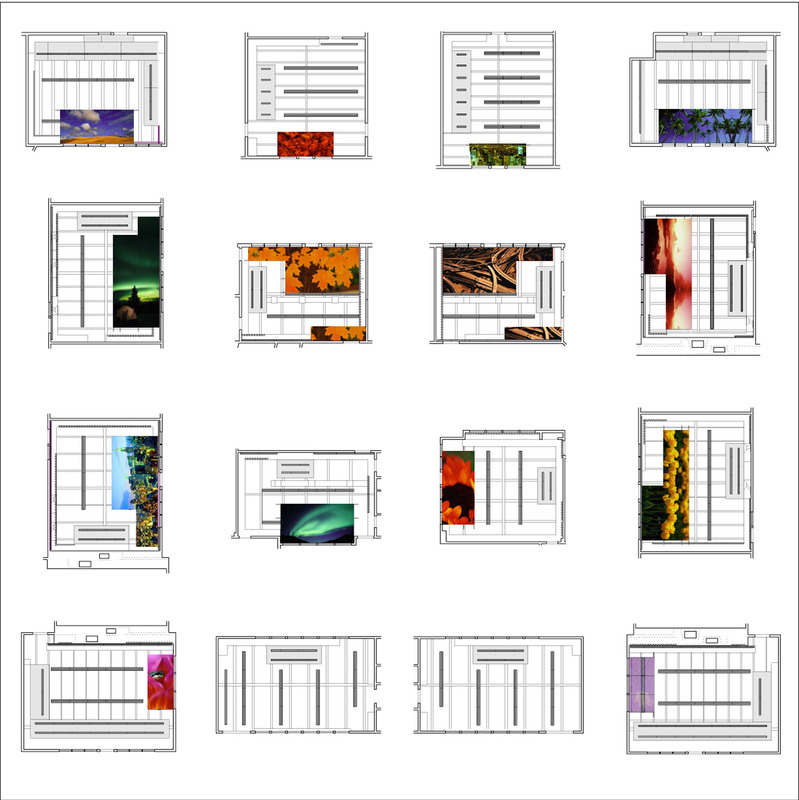 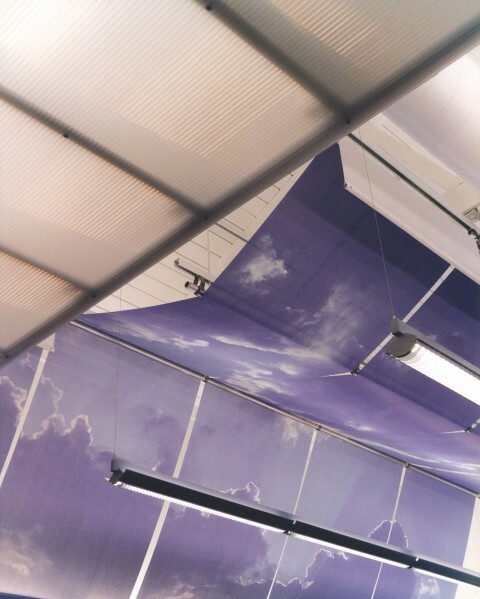 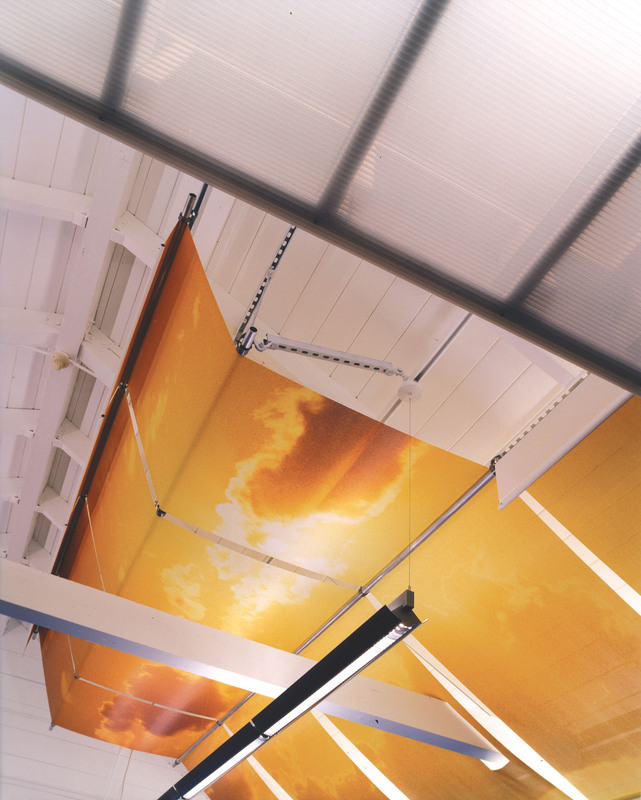 A suspended system of printed screens was created to provide surfaces for graphics related to children’s studies and to reinforce the impression of being in an outdoor classroom nested in a hi-tech interior. 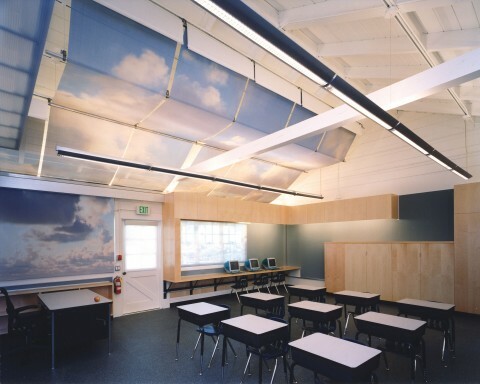 The existing classrooms were slightly undersized, so in order to conserve space the interior is wrapped with a series of interlocking rectilinear cabinets that integrate computer stations, sliding marker boards, sinks, water fountains, and technology stations for the teachers. 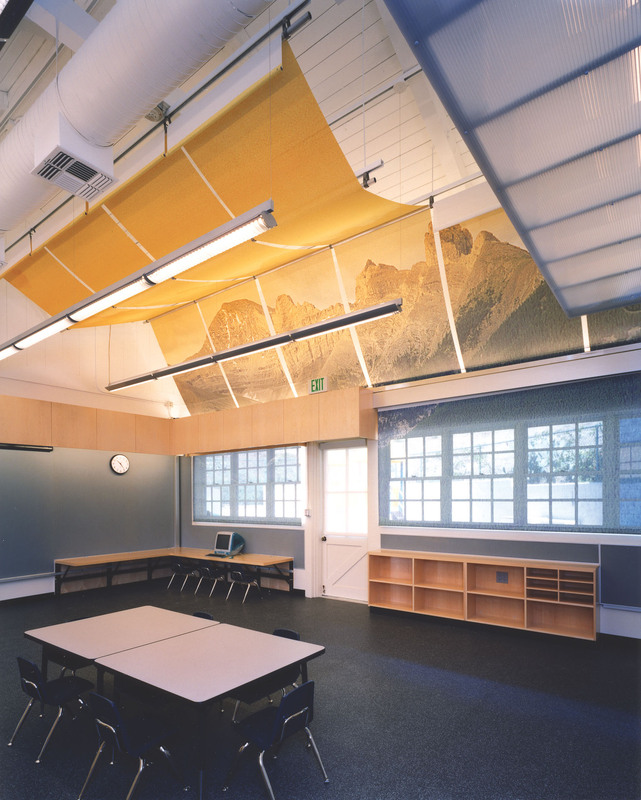 A strategic approach to the project’s design allowed it to succeed despite an unusually tight budget and schedule.